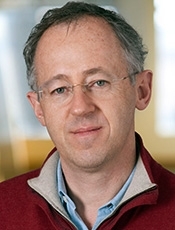 Dr. Stefano Bertozzi, dean of the UC Berkeley School of Public Health and professor of Health Policy and Management, has been elected the National Academy of Medicine, one of the highest honors in the fields of health and medicine. Current active members of the National Academy of Medicine elect new members through a selective process that recognizes outstanding professional achievement, commitment to service, and major contributions to the advancement of the medical sciences, health care, and public health. Dean Bertozzi has served on governance and advisory boards for WHO, UNAIDS, the Global Fund, PEPFAR, the NIH, Duke University, the University of Washington and the AMA. Before joining the School of Public Health in 2013, he directed the HIV and tuberculosis programs at the Bill and Melinda Gates Foundation. Dr. Bertozzi worked at the Mexican National Institute of Public Health as director of its Center for Evaluation Research and Surveys. He was the last director of the WHO Global Programme on AIDS and has also held positions with UNAIDS, the World Bank, and the government of the DRC. Bertozzi is among 79 new members, including 10 faculty members from University of California campuses. With the new additions, the National Academy of Medicine now has 1,947 active members. The National Academy of Medicine, along with the National Academy of Sciences and National Academy of Engineering, serves as an independent consort to the nation, promoting advancements in education, research, and policy. Reaching across sectors, the National Academy of Medicine requires that at least one-quarter of its members come from outside health-related professional fields. The National Academy of Medicine also includes 146 international members.